LONDON (Thomson Reuters Foundation) - A British doctor accused of carrying out female genital mutilation on a patient after she had given birth at a London hospital went on trial on Monday in the country's first FGM prosecution. Prosecutor Kate Bex told the jury the offence took place after Dhanuson Dharmasena delivered the woman's first child at the Whittington Hospital in north London on November 24, 2012. Bex said the woman had undergone FGM in Somalia when she was six years old which had involved her labia being partially sewn together. The procedure, known as infibulation, had left her vaginal opening too narrow to allow a baby to be born naturally. During the delivery Dharmasena confirmed that the woman's baby was in distress and decided to cut through the scar tissue where her labia had fused together to enable the baby's head to come out, London's Southwark Crown Court heard. He made a 1.5-2cm cut with scissors. But after the birth he put in two stitches, partially sewing her labia together again and thereby performing FGM, the jury heard. Bex said a second man, Hasan Mohamed, 41, had insisted or encouraged the doctor to carry out the procedure on the 24-year-old woman who cannot be named for legal reasons. An estimated 130 million women worldwide have undergone FGM, approximately 10 percent of whom have been infibulated like the victim, the court heard. "FGM can be very dangerous for a woman's health and also psychological wellbeing," Bex said. "It can lead to severe health problems and, in extreme cases, unfortunately to death ... It increases the risk of death in childbirth to both mother and baby ... In extreme cases women may die from severe haemorrhaging." Side effects include gynaecological, urological and obstetric problems, pain, shock and infection, the court heard. The prosecution does not suggest the stitches inserted by Dharmasena would have exposed the woman to the same sort of risks she faced when the FGM was originally done in Somalia. Dharmasena, 32, of Ilford, who qualified as a doctor in 2005, had been working at the Whittington Hospital for about a month before the alleged offence. A more junior doctor in the room noticed him making the stitches and a midwife told him she thought what he had done was illegal, the court heard. A specialist midwife who visited the new mother at home 11 days after the birth said in her view she had been re-stitched, Bex told the jury. 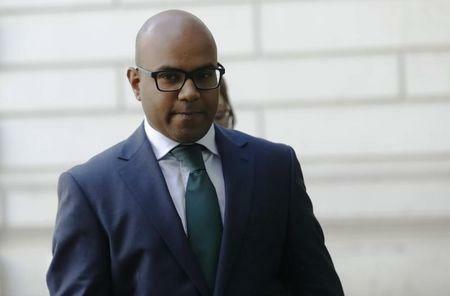 Dharmasena, who denies one count of FGM, told an investigation by health officials shortly afterwards that he had not wanted to harm the patient and was only obeying her wishes, the court heard. He later told police that he had made the suture to stop bleeding. Mohamed denies one charge of aiding, abetting, counselling or procuring Dharmasena to carry out FGM and a second of encouraging or assisting another to carry out an offence of FGM contrary to the Serious Crime Act.